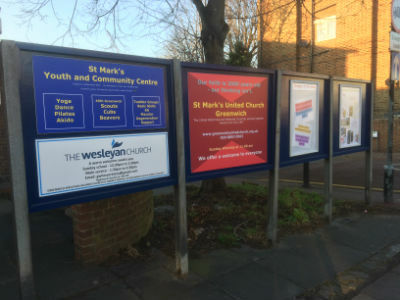 At the front of St. Mark’s there are four notice boards which we have redesigned – and we’re dedicating one of them for community use. We celebrate the fact that we are part of a multi-faceted community and want to support our neighbours by promoting their important local activities. 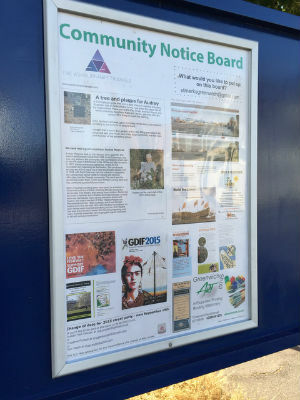 Each week we hope to publish important local notices on the 'This is our Community Page' of our web site then print the information on the community notice board in front of St. Mark’s. Our neighbours will get a good idea of what’s going on locally, read some opinion pieces and get involved in the community. see our page 'This is our Community' for this weeks news.